My name is Veneshia Campbell , I am a Registered Mental Health Counselor Intern. I graduated from Troy University with a M.S in Counseling and Psychology. I have experience working with children , adolescence , adults and families. I have facilitated parenting classes and anger management classes . I specialize in concerns related to self esteem, depression, anxiety and family reunification ( Dependency Cases). I am qualified to provide individual and family counseling. My passion and goal is to help my clients towards reaching their full potential and personal goals so that they can live full productive lives. 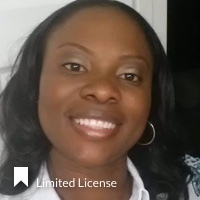 Veneshia has completed coursework and received a Masters degree from an accredited university; however, she is not fully licensed to practice independently, and is under supervision with a fully licensed Provider. The State of Florida allows individuals under supervision to provide clinical services to Medicaid patients.